Yes, friends, I continue with the Harry Potter-themed blog post. Maybe the boys felt the need to call it a heaping seven-layer nerd cake because they were embarrassed to call attention to the fact that they could quote Harry Potter from memory or still had their Potter Quidditch Jersey. I, however, am unabashed in proclaiming quite clearly that the Harry Potter Series has changed my life. Through the magic of story. You see, this is the business we’re in here in the Theatre. We can tell a story that on its surface may seem quite innocuous…an innocent tale of a boy attending a school for wizardry who encounters a villain he must defeat. Sounds simple, right? And yet, through this “simple story” we encounter amazing, life-changing realizations: at the moment that the Dark Lord possessed his very soul, the way through it was to find compassion. The moment he said “I feel sorry for you because you’ve never known love or friendship…” the darkness had nowhere to reside. My favorite, as a recent devotee of meditation, was the metaphor of battling our ego-self. At the end of the seven book series, it is the moment when Harry can quite honestly state, “I’m ready to die,” that he becomes impervious to the power of the Dark Lord. It’s the moment when we can honestly say, I trust enough to put myself in the hands of the Universe and know that whatever happens, happens for a reason, just as it should, that we ourselves become impervious to the slings and arrows of outrageous fortune. How many ways can you make a correlation to these things in your own life? Substitute whatever words for the “dark lord” you wish: hate, judgment, criticism, isolation, ego… and realize that love and forgiveness and compassion and truth are the only ways out. Now, it’s not so easy for me to sit here and tell you that. It’s not so easy for you to hear it in this direct way either. Enter: The magic of story. 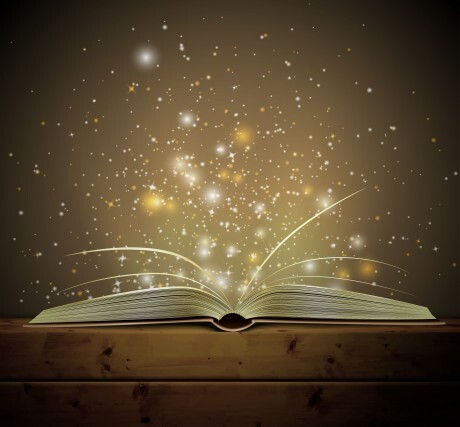 Through story, these complicated topics permeate our minds and our souls, almost without noticing. We can learn about courage by watching someone else find courage at the moment when we, ourselves, would have turned our backs and run. We can learn about the importance of love and friendship by witnessing the effect it has on others. And, like Shawn Fagan said in the last blog post, we can learn about family and team and home from a 17 year old boy. And that’s when we realize we are not alone. That others feel like we do, hurt like we do, make mistakes like we do. This very thing is what brings tears to my eyes when I think about theatre-making. Through the magic of theatre, and the magic of bringing a story to life, we can inspire. We can open up minds and hearts and encourage discussion. We can bring hope and joy to our audience. And this is how we can change lives and transform the world. And I am thoroughly grateful, and humbled and honored that I get to do this important work.